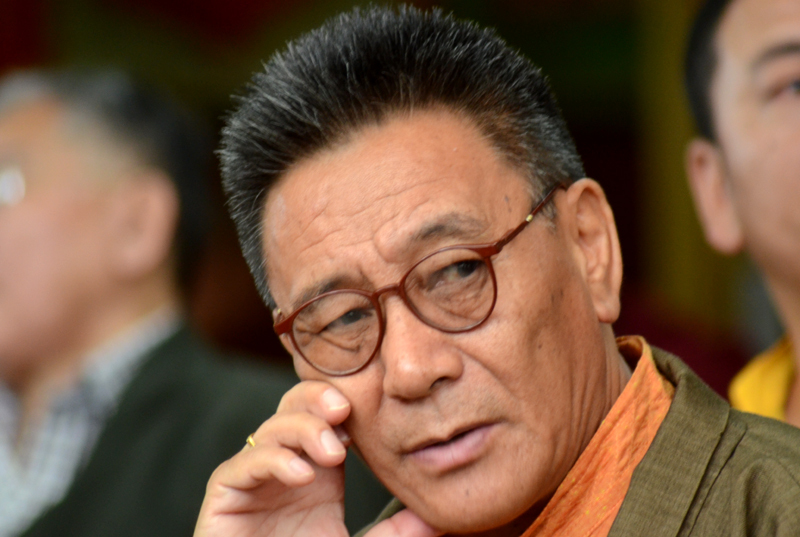 (TibetanReview.net, Feb01’16) – Mr Karma Choephel, one of the senior most members of the Tibetan Parliament in Exile at Dharamshla, India, has passed away on Jan 30, aged 67. He was reported to be ailing for a long time and to have died at home. He had served for two short stints as the parliament’s speaker. Mr Karma Choephel continuously represented the U-Tsang province of Tibet in the exile parliament from 1991 to 2011 when he came to represent the Kagyu school of Tibetan Buddhism. He was one of the most active participants in the parliament’s proceedings and its campaign activities. Before becoming an MP, he was an active member of the Tibetan Youth Congress, had taught at the Bylakuppee Central School for Tibetans, and later served as rector at the Central School for Tibetans, Shimla, and Central School for Tibetans, Mussoorie. Mr Karma Choephel was one of the most outspoken supporters of the Tibetan campaign for independence even after the parliament, of which he was a member, had passed a unanimous resolution to adopt the middle way position of seeking autonomy, not independence, from China. Mr Karma Choephel is survived by his wife, three daughters and a son.